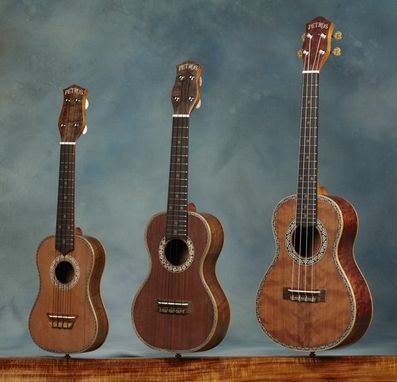 This is a Concert size Ukulele. The top is redwood from Tunnel 13 built in the 1880's. 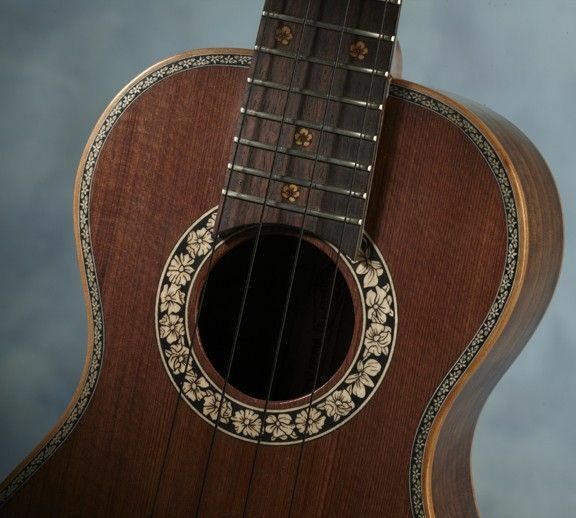 The back and sides are curly Claro Walnut and the neck is mahogany. 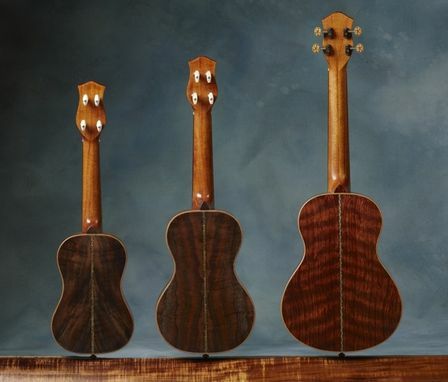 This ukulele is the one in the middle.